Apple Leaf LLC was founded in 2003 out of a need to provide services and unbiased information to help growers manage their production and satisfy markets and consumer demands. Integrity and objectiveness of our data are at the core of our business. We are a private firm with no affiliation or ties to agriculture product-based companies. Our goal is to provide our clients with unbiased, real-time information to aid in their ability to manage pests and commodities. Rob has over 15 years of experience as an Apple Leaf Project Manager, Integrated Pest Management scout, and Food Safety Project Lead. He has worked with fresh and processed fruits, vegetables, hops, and herbs in many settings over his years with Apple Leaf. He has also worked with conservation districts, including International Governments, Federal Agencies, Private Businesses, and NGOs related to agriculture, resource conservation, endangered species, wildlife/fisheries.He is both a consultant and auditor non-GFSI (LIVE, Salmon Safety, NOP-Organic Standards, FSMA, and Tesco, PRIMUS Non-GFSI) and GFSI (SQF, BRC, GlobalGAP and PRIMUSGFS) and HACCP, food safety training, risk assessment development, food security and the like. 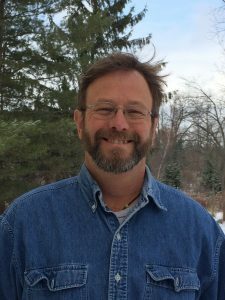 He has advanced Lead Auditor and HACCP training, has a background in policy writing, and consulted with both organic and conventional crops including specialty, greenhouse, Christmas tree, row crop, and permaculture, agriculture production. Rob graduated from Iowa State University, Ames Iowa in 1995 with a Bachelors in Science and 2004 graduated from Bard Center for Environment Policy, Annandale-on-the-Hudson New York, with a Master in Science. His thesis focused on measurement of Integrated Pest Management tools used for 22 different commodities. Mike has been growing fruit since 1984. In that time, he has developed a robust knowledge of the fresh and processed fruit and vegetable industry. His technical fortes include Integrated Pest Management (IPM), plant nutrition, physiology, sustainable agriculture, and basic horticulture techniques, while his crop expertise includes a wide range of pome, stone and small fruit crops. Mike has two degrees in horticulture – a Bachelor’s from Virginia Tech and a Master’s degree from Cornell. He is also formally trained in food safety, HACCP, and Quality Management Systems and is a certified auditor for BRC, GlobalGAP, Costco, Tesco, and the Non-GMO Project.